JAINA was established in 1981 with the blessings of Acharya Sushil Kumarji and Gurudev Chitrabhanuji. JAINA has grown from its initial membership of four Jain centers to sixty seven centers at present, representing over 150,000 Jains. JAINA is the only organization representing all the Jains in North America irrespective of their languages, regions and traditions. It has provided a forum to foster friendship and unity among all Jains of North America. There are over 70 organizations under the JAINA umbrella. Each organization, based on their membership size appoints 1, 2, or 3 Directors. There are 110 JAINA Directors who elect the JAINA Executive Committee every two years. Also there are over 35 specialized working groups called JAINA Committees. YOUNG JAINS OF AMERICA (YJA): Started in 1991 with a mission to establish a network to share Jain heritage and religion through young people. Today YJA has grown into an organization representing over 2,500 Jain Youths nationwide from the age of 14 - 29. Under JAINA's guidance, YJA is dedicated towards educating the leaders of tomorrow. Go to yja.org to learn more. The previous YJA Convention took place in Washington, DC in July 2014 with over 850 Attendees and Volunteers. The next YJA Convention will be held in 2016. To learn more, go to www.yja.org. Chairpersons: Dharmi Shah - chairs@yja.org - and Siddharth Shah - chairs@yja.org. Click here to donate to YJA. YOUNG JAINS PROFESSIONALS (YJP): Young Jain Professionals (YJP) is an organization focused on increasing awareness and understanding of Jain principles and heritage. The organization is mainly for young Jain professionals in the ages of 24 - 42. They focus primarily on Professional Development & Networking events, Spiritual development programming, and Community Service initiatives to promote Jain advancement. Please visit us on Facebook to see our events across North America and visit our website yjp.jaina.org for more information. Chairpersons: Komal Shah - komal.shah@yjp.jaina.org and Neal Daftary - neal.daftary@yjp.jaina.org . Click here to donate to YJP. 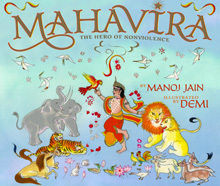 Chairperson: Mahesh Wadher - jainacalendar@jaina.org - (909)-376-4027. JAIN DIGEST: Is published quarterly and emailed to more than 14,500 Jain families in North America and worldwide. Jain Digest communicates the activities of JAINA and Jain Centers in North American. It aims to put together in-depth articles of Jainism and spiritually related topics. Donation of $201 is requested for Life Membership. Issues can be viewed online at jaina.org/jaindigest. To receive your digital copy or to make any changes in your email address, please Contact JAINA HQ at (510) 990-0204. Chairperson: Mahesh Wadher - mahesh.wadher@gmail.com - (909)-376-4027. Chairpersons: Girish Shah - girish@theshahs.com - (408) 378-8765 and Chandrakant Vora - chandra.vora@gmail.com - (508) 393-2490. ACADEMIC LIAISON: To promote programs and studies in Jain Philosophy at Academic Institutions in North America and to establish relations with them to promote the principles and awareness of Jainism. Through ISSJS hundreds of students in college and graduate school as well as teachers and professors in academia have travelled to India for Summer Studies in Jainism. 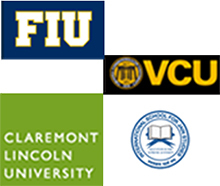 Partnered with the Center for Jain Studies at Claremont Lincoln University. To learn more please visit www.isjs.in and www.jain.claremontlincoln.org. Chairpersons: Jina Shah - jina.shah@gmail.com - (650) 296-3197 and Sanjay Jain - sanjayjain67@yahoo.com. Chairperson: Nitin Shah - Nitinshahmd@gmail.com - (562)-244-9035. CAMPUS OUTREACH: The Campus Outreach Committee is committed to connecting Jain youth to local Jain Sanghs near their college campuses. It also guides the formation of Jain clubs on campuses and helps connect Jain college students to other nearby campuses. Additionally by working with YJA, YJP, and local sangh leaders, we hope to foster closer connections and participation between college students and their local Jain communities. To learn more about the program, please go to jaina.org/campusoutreach. Chairperson: Mayha Parikh - mayha.parikh@gmail.com - (860) 833-2757. Chairperson: Dilip Shah- dilipvshah@gmail.com - (215)-868-0381. CONVENTION: Is responsible for creating biennial conventions. Since 1981, JAINA Conventions have become a unique socio-religious event for the entire Jain community of North America. Our Jain Monks, Bhattaraks, Scholars, and Dignitaries from all over have graced these occasions. The 17th JAINA Biennial Convention took place in Novi, MI in partnership with the Jain Society of Greater Detroit in July 2013. 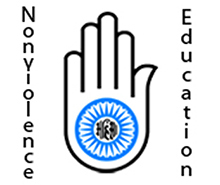 The upcoming 18th JAINA Convention will take place in July 2015 in Atlanta, GA - with the theme “Jainism: World of Non-violence”. All Jains are requested to attend from July 2 - 5, 2015. Learn more by going to: convention.jaina.org. Convention Convenor: Gunvant Shah - profgaryshah@yahoo.com - (732)-253-7049. Chairperson: Hemant Shah - hshah1@sbcglobal.net - (248) 888 8181. Chairperson: Pinal Majumdar - blessedjainova@gmail.com - (703)-984-9075. Chairperson: Jayesh Shah - jayeshshahmd@gmail.com - (626) 379-5590. Chairperson: Manish Mehta - manishm@comcast.net - (734) 668-0348. Chairperson: Purvin Vakharvala- purvin@gmail.com - (732)-253-7049. JAIN NETWORK FORUM: The main goal of this service is to promote Jains to marry Jains and practice the principle of Jainism in day to day life. JNF maintains a large searchable database consisting of profiles of Jain candidates from USA, Canada, UK, India and many other countries. Chairperson: Mukesh Doshi - jaina.jnf@gmail.com - (847) 517-2505. JAINA HEADQUARTERS: Responsible for JAINA Office activities, coordination between JAINA's Executive committee and local Jain Sangh leaders, as well as communication with JAINA Committee Chairs and Project Leaders. This currently comprises of the JAINA Manager and our team of dedicated volunteers part of the JAINA Volunteer Corps (JVC). Chairperson: Rita Sheth - ritashethcpa@gmail.com - (918) 398-6023. LEGISLATIVE INTERNSHIP - A Washington, DC based summer internship. Interns in this program learn to advocate, defend, and protect the rights of Jains in America. In partnership with American Jewish Committee (AJC), Interns learn to analyze proposed laws, policies and procedures by government and public sector that may compromise Jain values in America. Two interns are trained each summer for 8 weeks in Washington, DC. Six interns have benefited from this program. LOAN PROGRAM: Creates financial offerings to the benefit the Jain Community. We will be offering a number of resources of youth and families, as we look towards 2015, we will be providing over $150,000 through our education loan program and explore ways to bring interest free loans for family assistance programs for Jains in North America. Chairperson: Shoha Shah - sohashah@gmail.com - (947)-248-3906. Chairperson: Mamta Shaha: mamta.shaha@gmail.com. To learn more go to jaina.org/mediaproduction. 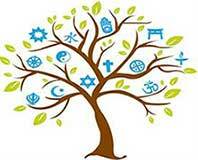 PLANNED GIVING: Educates members of the Jain community on the intersection between philanthropy and tax benefits. It is our belief that without proper planning, the more wealth you leave for your family, the more estate taxes need to be paid. Philanthropy, however, can be used to reduce taxes and simultaneously help involve family members and transmit values to future generations. Chairperson: Yogesh Kamdar - bkamdar@comcast.net - (203) 288-2350. PUBLIC AFFAIRS: This committee had arranged a unique event of having a Jain Prayer at the inauguration of the 2001 session of the US Congress in Washington, DC. Coordinated multiple Diwali functions at Capital Hill and the White House. It has also established cordial relations with many US Senators and Congressmen and is working to raise the general awareness of Jainism in North America. The main aim is to promote Jain values amongst non-Jains thru interaction with federal and other organizations and media. Go to jaina.org/publicaffairs to learn more. Chairperson: Manoj Dharamsi - mdharamsi@hotmail.com - (703) 620-9837. Chairperson: Nitin Shah - Nitinshahmd@gmail.comm - (562)-244-9035. Chairperson: Prakash Mehta - pmehta@psiint.com - (703) 621-5840. YATRA: We successfully finished 99 yatra to Shree Shatrunjay Mahatirth, Palitana, India from Nov 10, 2011 to Jan 9, 2012. This was first time in the history that JAINA had organized this yatra from USA to India. Participating in this unique and historic opportunity is a once in a lifetime event for Jains across North America. We look forward to arranging the 99 yatra in 2015 - 2016. To learn more visit www.jaina.org/99yatra. Chairperson: Arvind R. Shah - ashah_1941@yahoo.com - (248) 835-7395. JAINA COMMUNITY PORTAL: The jaina.org website provides members of JAINA with a way to connect and find out information about the community. The website and its administrative backend are currently being revamped. Take advantage of the portal’s new and improved features to continue connecting with other Jains. Register for FREE on www.jaina.org to receive our weekly eblast, news, connect with others, and much more. MANGALAM JAIN TELEVISION SHOW: Managalam is the world’s first television program dedicated to Jainism and Jain life. The show has been running on several networks and online since 2008.